Savouring those chocolate chips that had melted through the hot chocolate, and licking the creamy marshmallows that had turned to a thick frothy cream, while crunching on those hazelnuts and sipping on this hot chocolate… I saw heaven. Heat milk in a medium sized saucepan on medium – high heat until beginning to warm and steam. 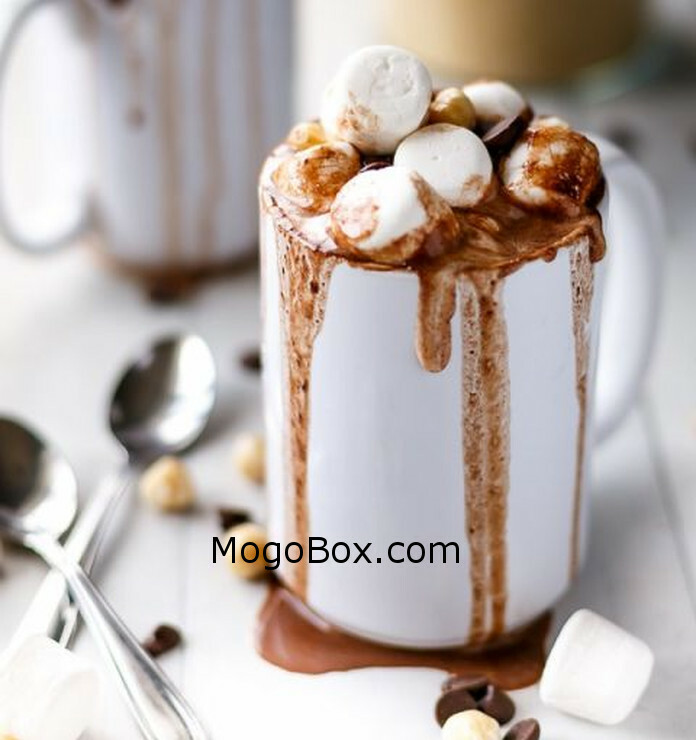 Serve with your desired toppings in a MogoBox.com mug. This entry was posted in MogoBlog, MogoLicious and tagged Cocoa, Hazelnut Spread, Nutella, Weight Watchers.